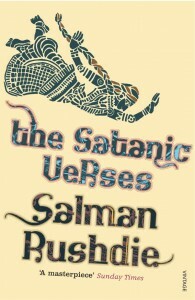 This month legal proceedings have been filed against four authors that read aloud from Salman Rushdie’s 1988 novel The Satanic Verses during the Jaipur Literature Festival in India. In the essay below, journalist, author, and the chair of English PEN’s Writers in Prison Committee, Salil Tripathi, explains how outdated Colonial-era legislation is being used to curtail free expression. The saga refuses to end. The Jaipur story has now taken a new turn. On Monday (6 February) two courts in the city began legal proceedings after complaints were filed by, among others, members of an organization that campaigned against Salman Rushdie’s participation in the Jaipur Literature Festival. They allege that the festival organizers and four authors who read from Rushdie’s novel, The Satanic Verses, hurt the religious sentiments of Muslims. 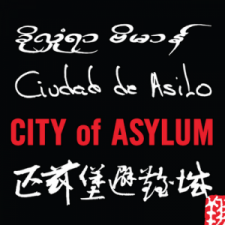 The four authors — Amitava Kumar, Hari Kunzru, Ruchir Joshi, and Jeet Thayil — read from the novel to express solidarity with the absent Rushdie, and as a mark of protest. Rushdie did not go to Jaipur after he received plausible information that security forces had evidence of death threats against him. Now the festival’s organizers are also being charged under provisions of India’s criminal laws, which date back to the colonial era. The complainants’ main contention is that the authors and the festival organizers conspired “to promote enmity on grounds of religion.” One magistrate has recorded the complaint to decide if the case has any merit before it is sent to the police to register a First Information Report. That case will now be heard on 8 March. Another magistrate will record a complainant’s statement today. When such complaints are filed, the court can either ask the police to register a report and launch an investigation, or examine the complaint on its own, before deciding if the matter deserves to be sent to the police for further action. The courts have decided to examine the matter first, before sending it to the police. Now think again about what happened in Jaipur: The four authors read extracts from The Satanic Verses, whose import is banned in India. Note, its import is banned in India; lawyers have pointed out that the government did not ban its printing or publishing — rather, Penguin, which had the rights to publish it in India, chose not to do so after the import ban was imposed, and its consulting editor recommended that it would be unwise to publish the novel. 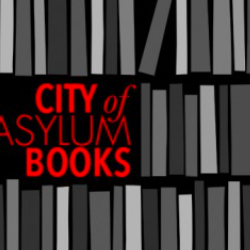 Leading Indian lawyers say that ban does not extend to reading the novel, or reading from it. In fact, in the years after the ban, several lawyers and writers read from it in public, as a mark of protest. They weren’t charged at any time. At the Jaipur Festival, parliamentarian Shashi Tharoor, author and former diplomat, said he has read from, or cited the novel, without any problem. And yet, now the four authors and the festival’s organizers — William Dalrymple, Namita Gokhale, and Sanjoy Roy — face the prospect of being charged under colonial-era laws. Such a prosecution mocks India’s fine judicial traditions and runs counter to its constitutional guarantees of free speech (which are, it must be said, limited). It means if you say anything that someone considers controversial or offensive, then either that individual or the state can begin proceedings that could lead to prosecution. This isn’t a theoretical proposition, nor is this the first such complaint. Many film-makers, authors, and artists have been scarred by threats of such prosecutions. Many have sued for peace by dropping contentious material before publication; some have been prosecuted. Higher courts have usually dismissed the charges, but not before a long process that’s costly and stressful. (There is also the other threat of vigilantes doling out justice in the form of ransacked galleries or theaters, or attacks on artists, with the police doing little to stop such violence). This is preposterous — but such is the state of affairs. Neither the authors nor the festival organizers incited any community, nor did they intend to insult any religious group. The festival organizers have said they were not aware that the authors intended to protest. After the four read from the novel, the organizers even issued a statement saying the authors had acted on their own. But none of that seems to matter to the complainants. The charge is even more confusing since there has been no violence. Nobody went on a rampage; there was no riot. The four had never intended to incite anybody, and nobody got incited. However, some Muslim fundamentalist groups had offered rewards to throw shoes at Rushdie, or spit on Rushdie. Others have said that even a video appearance by Rushdie could have repercussions, irrespective of what he might say. Many might regard these statements as threats, but as of now, no police officer has pressed charges against any of those individuals, who were at least implying that matters might get out of hand for which, of course, they would presumably claim no responsibility. And so it is that the one who claims offense and threatens to take the law in his hands, or suggests others might do so, remains free; the ones who read from a book are being charged under laws meant to prevent violence. The Indian Penal Code, from which these sections are derived, was drafted in 1860, and much of that law has stayed fossilized, even though India gained Independence in 1947. It is important to remember the circumstances under which that law was drafted. In 1857, many princely states in India rebelled against the rule of the East India Company, and what followed was what India calls the first war of independence, and what Britain remembers as the Sepoy Mutiny. Soldiers of the East India Company rebelled against the company, and united with various princely states in a vain attempt to overpower the colonial rule. The war ended in 1858, with the Indian states surrendering, and soon thereafter, company rule ended, and Queen Victoria became the Empress of India. There were many reasons for the uprising, but the immediate spark was religious. Indian troops in the East India Company’s army were alarmed by rumors that the new British cartridges were greased with cow or pig fat. Hindu and Muslim soldiers alike were offended, unwilling to handle ammunition contaminated by animal fat which the respective faiths shunned. Realizing the combustible power of religion, the British decided to make maintenance of religious harmony their priority, and to do that, they took advantage of mutual suspicion among the communities. So anyone who disrupted harmony would be prosecuted, and people had the right to complain against anyone who disrupted such harmony, turning the “subjects” into informers. Colonial rulers had good reason to maintain such laws — to keep communities suspicious of one another and divided just short of fighting. Free India is supposed to be democratic; its adult citizens vote their governments, and they argue with each other in a spirited manner. But these laws, relics of the raj, treat Indians as subjects, not citizens. They allow troublemakers to file spurious complaints under the provisions of these laws and restrict free expression, as had happened to the great painter, the late M.F. Husain, who was driven out of India, and died in exile in London last year. The same provisions are now being used against the novelists and organizers of a festival of literature. This has gone on too long. Before it gets any worse, India needs adult supervision; it needs to repeal these laws, stop proceedings against the authors and festival organizers, and keep a stern eye on rabble-rousers who cry offense and threaten violence because they don’t like other people reading a book they haven’t read and which they are told they must dislike. You can dislike a book; nothing is sacred. But if you don’t like a book, Rushdie had said in India in 2010, all you have to do is to shut it. Instead, they want to shut conversations across the country through intimidation. This article was originally printed on February 7, 2012 by Index on Censorship. It is reprinted with permission.